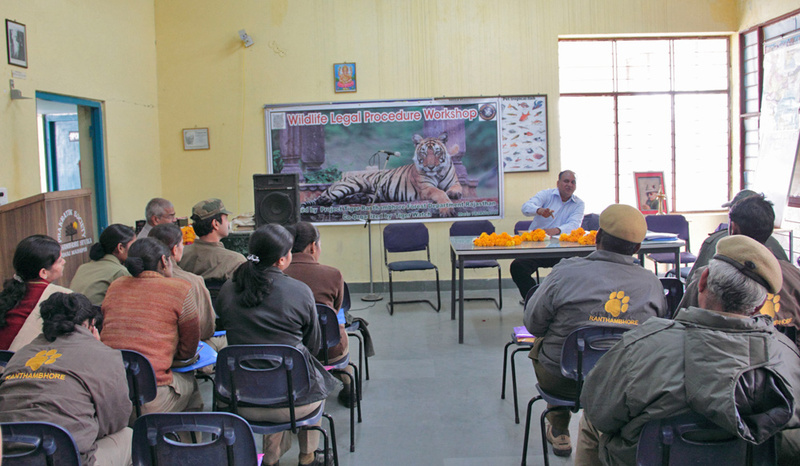 Ranthambhore has been always seen as the conservation temple, from time to time the forest department has joined hands with experts from various fields to work out fresh training models and refresh existing system to educate forest staff to protect wildlife of the region. 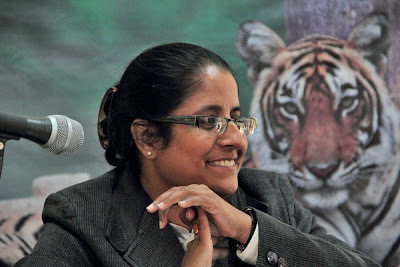 One such interesting step was the Wildlife Legal Procedure Workshop held on 21st December at Ranthambhore. 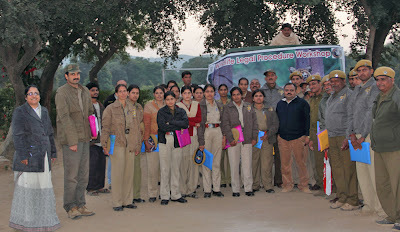 The objective of the workshop was to get on a single platform members from the legal fraternity be - public prosecutor fighting for the forest department, crime advocate fighting in favor of the lawbreakers and the judge besides other dignitaries. The target audiences for this workshop were the forest officials (forest guards, foresters and rangers) who might be working hard to protect the forest but have not been sensitized enough on all the nitty gritties of managing the legal aspects once the criminal is arrested. Sometimes these people working for the forest become victim of the lawbreakers accusing them for unnecessary arrests. 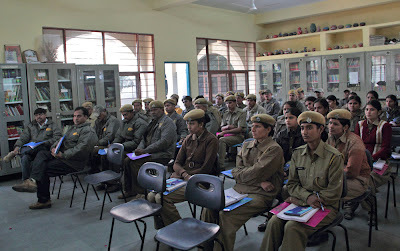 The workshop was carefully designed keeping in mind all the varied issues a forest official should look into before, in course of and after an arrest. 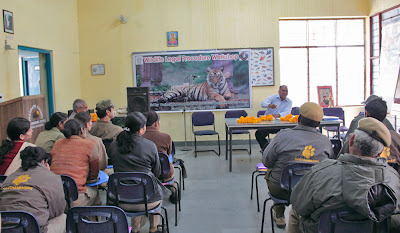 When Tiger Watch initiated the plan to conduct the workshop DFO Ranthambhore core – Mr YK Sahu stepped into action mentioning that it was the need of the hour and such an initiative would encourage all his staff to be more aware and enthusiastic about legal procedures which they need to follow in the day to day operations. 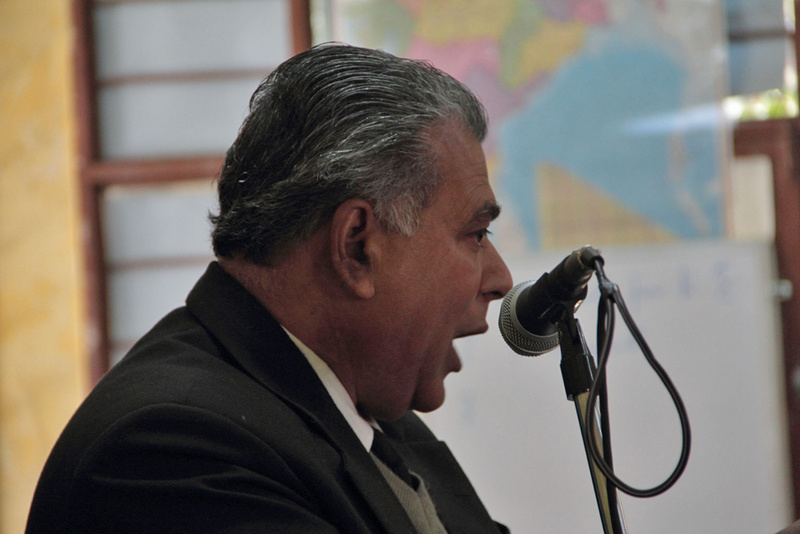 Mr. Sahu designed the workshop and emphasized that the speakers should be from the field. He emphasized that the talks should cover legal procedures involved with varied forest issues encountered by his team. Adv. Ms. Padmini Rathore and forester Mr. Omprkash Shaikywar designed the course material for sharing amongst the participants while Fateh public School provided the venue. 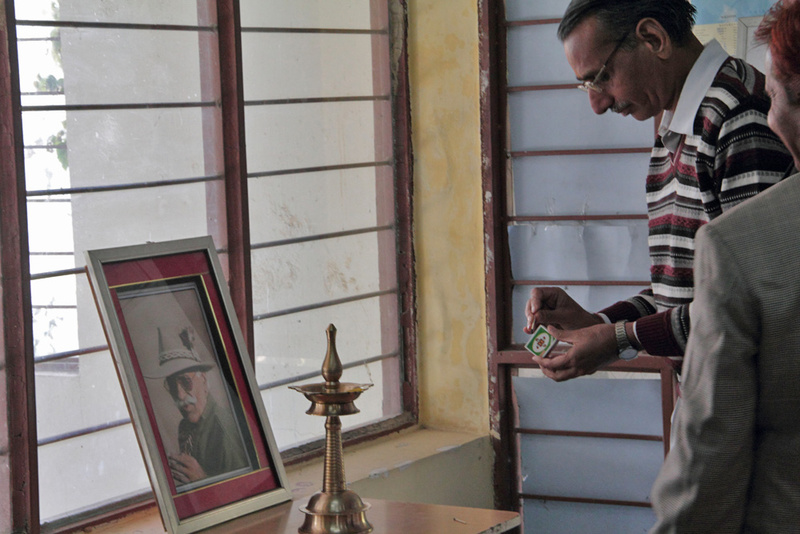 Total 44 forest guards, forester and range officer have been participated in the workshop. 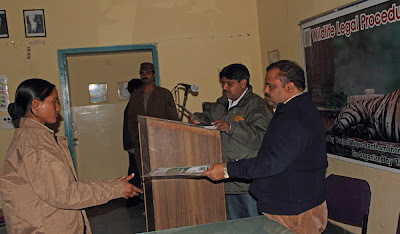 All the forest officials took immense interest in the workshop. 1. 1. 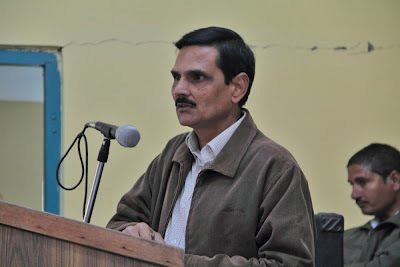 Mr. YK Sahu, DFO: The start of this session was though a welcome and introductory note by DFO Ranthambhore core – Mr YK Sahu. In his note he emphasized that all those present should carefully understand the new amendments to the laws as also the gaps the department personnel unfortunately leave while doing the paper work for the cases. He also encouraged Tiger Watch to organize such awareness sessions and finally thanked all the present honorable speakers who graced the occasion open heartedly for the open sessions of discussions which would help them to open their apprehensions and mental blocks. 2. 2.. Hon. Mr. Ashok Kumar Agrawal, Chief Judicial Magistrate: key note speaker Mr. Agrawal spoke about the importance of protocols before and after an arrest and making of critical notes during the time of arrest. He also mentioned that any case should have proper paper work from the side of the department. Mr. Asrar Ahmed, public prosecutor – Sawai Madhopur spoke about the important points while making case diary and charge sheets. He mentioned that issues like making of area maps and taking signature of the eye witnesses at time of arrests would be of great help in keeping confusions away. A case diary is accessed by the judges and should ideally contain details of all the relevant events in the case. 4. Mr. Giriraj Tehria, Senior criminal Advocate: This session was one of the most interesting of all where spoke about how ambiguities in various procedures makes the case of the opponents stronger and the governments weaker. He also explained that there any many hearing when no one from the forest department comes for the hearing, which is equally important because of the opposition is not present the judge would only know one side of the story. 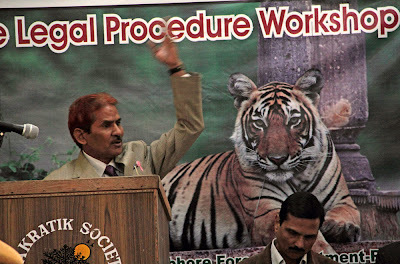 Mr Tehria said that he too gets hurt when he hears of an animal poached or a tree being cut in the forest but this is his profession and he is supposed to defend his clients as much as a doctor defends his patients. He also mentioned that all the cases should have proper documents attached and more than anything else he emphasized that that department should have photographs of the events during the time of arrest especially when they are planned arrests an official can have a camera to take photographs which would lead to a very strong evidence in front of the judge and court. 5. 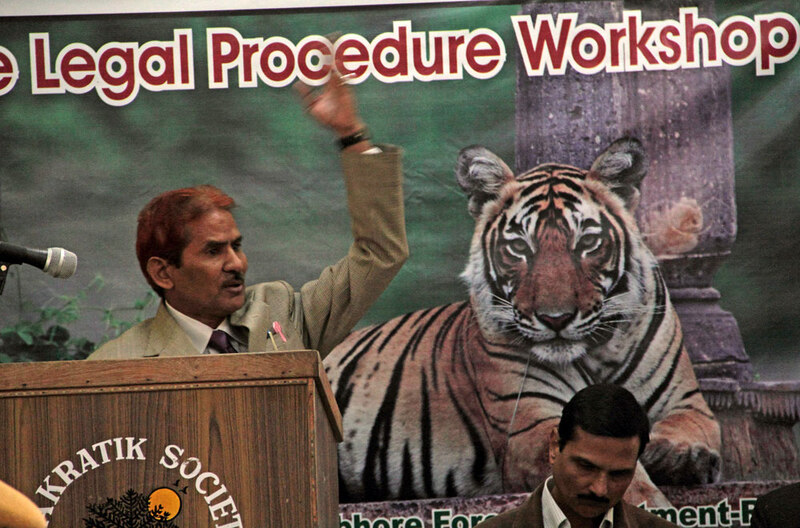 Dr. Bhagwan Singh Rathore, ACF: a much respected forest officials who did his LLB and later masters in law further completing his doctorate in law staying with in the forest services spoke at length about the wildlife protection act. 6. Advocvate Ms Padmini Rathore: who was coordinating on the dais gave a briefing session of all the speakers and also took a test of the attendees. 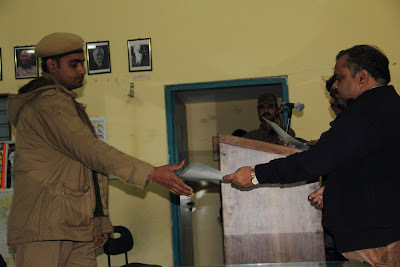 Later ACF Mr. Sudarshan Sharma distributed certificates to participants and finally to conclude the session RFO, Mr Dinesh Gupta thanked all the people present – the team members who attended the session the speakers for their valuable time for his coordination and support in the Mr Sahu who full heartedly supported the program. Fantastic stuff as usual, Tiger watch.